Have you got a manuscript that you feel is crying out to be published? Our ambition is to make the whole process easy for you and to get you a pleasing and professional result that is exposed to the widest possible audience. Can you as a writer do this yourself at no cost? Short answer is “Yes you can.” but as usual in life the easiest way and cheapest way is not always the best. It is probably quite easy to do a sloppy job, but much more difficult to make a professional looking e-book. There are a number of tricks to making a good looking book and if you don’t know them then you can end up with a book with large gaps in the text or illustrations that float to the wrong page or even internal links that are inactive or incorrect. All these aspects lead to disappointment in your reader and thus a loss of reputation for you as the ‘publisher’. What about an eye-catching cover? It is possible to buy pre-designed covers, but they are usually not up to a good standard. At Kima Global we know what is good, what the latest trends in design are all about and what sells. A good cover design is part of the package we offer and we also include extra elements such as a Facebook banner for your fan page. We also like to get your input so that you are 100% satisfied with the result. Our professional designer appreciates some guidance from you as to your personal taste or a favourite image that you want to include. Our aim is to keep your enthusiasm for your book high, not only to please you, but also because if a writer loses interest in their book, then the energy behind it can evaporate like the morning dew. We have siged up with all the major sales channels (and we also reach quite a few smaller ones). These include the various branches of Amazon, Barnes & Noble (now second biggest seller to Amazon), Kobo, Chapters (Canada), Take a Lot (South Africa), Google Play and our own popular site with shops in the USA, the UK, South Africa and Australia. We maintain a bank account in the USA to process payments from Amazon and use PayPal as a payment gateway to get the funnds home to us. Writers and self-publishers outside of the USA without a US bank account will only get paid by cheque when sales have reached a target (currently $100.00). Banks simply hate dealing with foreign cheques and put up major obstacles and charges (currently a fee of around $20.00 and six weeks to clear). With Kima Global you get sales reports every quarter and royalty payments twice a year. On e-books we offer a royalty of 50% which to our knowledge is the best rate on offer anywhere. This is made possible because the writer makes a financial contribution which covers part of the cost of making the e-book, thus reducing our risk. Can I also get a printed book published? Generally yes. There are some costs involved, usually a further $280.00 plus a commitment to buy a minimum of 20 books. We offer these to you at a trade discount of 40% which will contribute to your financial recovery. The royalty rate on printed books is only 10% because of the additional costs involved (printing, delivery, large discounts given to bookstores, extended payment periods and cost of setting up and warehousing). We try to get back to you promptly with either a yes or a no. Once accepted it can take up to two months to completion.The time taken will be affected by the proof reading and correction process. The manuscript needs a re-write or a serious editing /organising job done on it to get it into shape. not enough word count. We generally look for between 50 000 and 70 000 words. The subject doesn’t fit our list. We cover a wide range of genres from new economics to natural health and many in between, but we do not cover sport, religion, politics or poetry. Anthologies of other people’s writings. Every writer that gets accepted by us automatically joins the family. This brings distinct advantages, specifically the power of co-operation. Our authors are usually quite willing to give a hand up to debut authors and a lot can be learned from these experienced people. We look forward to seeing your manuscript and hopefully being able to help you get your wonderful words out to the people who will be affected by them. Surveys have found that people mourn more over the loss of their precious pet than they do over an uncle of whom they were not particularly fond. Understandably so because animals love unconditionally (something we all long for and need in our lives) so we develop storng bonds with them. Then of course there is the agony of seeing someone you love suffering pain. Notice that I wrote ‘someone’ and not ‘some animal’ because in the end we pet owners see them as close to human. They are our ‘children’, our precious dependents. 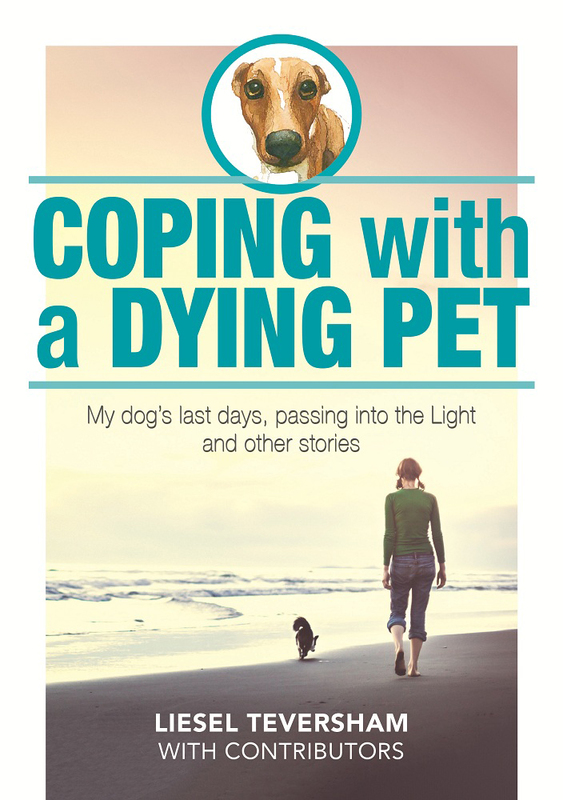 Liesel Teversham watched her dog’s slow and agonising decline and eventual passing, but fortunately she is a highly skilled EFT practitioner, so she used these skills to help her deal with the trauma. If you, your friend, or someone in your family is goinng through this experience, this book will help you to cope. Click here now to find out more.